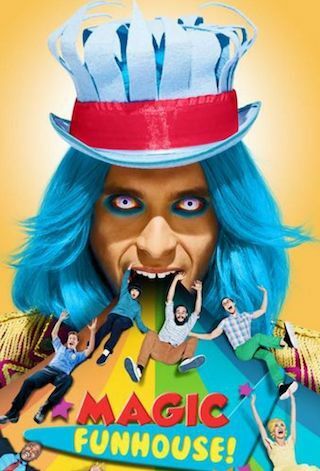 Magic Funhouse is a 20 minute scripted comedy television series, which kicked off on December 15, 2016, on fullscreen and is broadcast every Thursday at . The show is currently in its 2nd season. fullscreen is yet to announce the renewal of Magic Funhouse for Season 3 as well as its cancelation. Sign up to track down the show's status and its release date. A series that peeks behind the curtain of a public access children's TV show to reveal the offensive lives of the cast and crew when the cameras are off.